Home › Reviews › What Is WrapMatch About? What is WrapMatch about? Is it a scam? Can you make money and how much money can you make. Well, let’s get started with how this all works. WrapMatch slogan says, Sign up, Get Wrapped, and Get Paid. They also make the claim you can make up to $400 per month by just advertising on your car. If you have a car, this might be a way to earn extra dough for the month. Especially if you are an Uber driver or use a similar service to make money with your vehicle, like the Roadie App. You can read more about earning money through Roadie by reading my post on, What Is The Roadie App? Brad Cahoon One of owners of WrapMatch.com. Here is what WrapMatch calls themselves, a vehicle rewards company. Just to make this clear, they don’t provide a job, they provide a service which happens to pay you money. So what is the service? You will be displaying a decal on your vehicle. Either in the back window or with a wrap done, which is usually an ad placed on the side of your car. They pay you basically to put a form of a bumper sticker on your vehicle that advertises some sort of business. They, in turn, pay you for doing this. You’ll have the final say as to approving what advertiser is going on your vehicle though. If you drive for Uber or some other car service, you would think this would be a nice side business to earn a little extra money. But there just seems to be a lot of negativity surrounding this company as far as feedback online and reviews. Most payments are straight commission not percentage. There are two types of members at WrapMatch. Basic – WrapMatch just pays commission to you. This cost $4.99 a month for a 7 day free trial at a premium. Basic members also pay $8.99 for the shipping of decals. This just blows my mind. 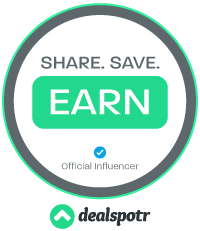 Premium – Pay is gift card plus commission. This cost $19.99 a month, with the premium membership you get the guarantee of having an offer for a campaign with the initial 10 days of joining. Your promise and commitment to drive responsible while displaying their ads on your vehicle. You must have a valid drivers license and also vehicle insurance. As most startup companies, WrapMatch made quite a few big blunders in launching their business, like not having enough companies for the overwhelming amount of people that joined at their startup. This might have turned numerous people sour after joining WrapMatch in the beginning. The driver has the final say over what is advertised on their vehicle. If you don’t like an advertiser, by all means, don’t agree to it. Money back guarantees, open-ended fund policy. Payment for services is through PayPal. Premium members get a base payment of a gift card and a cash commission. They have an active referral program only for premium members. 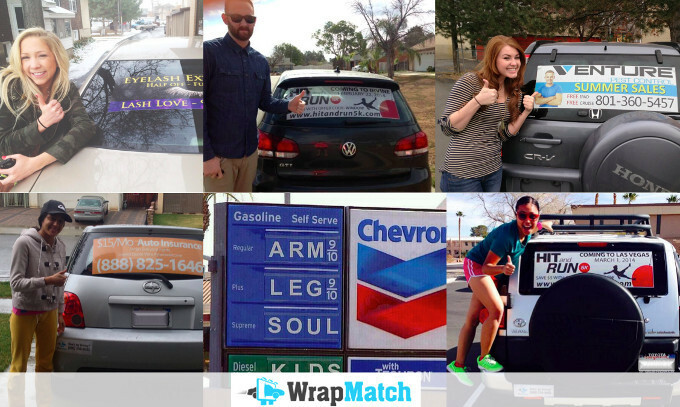 WrapMatch charges for the service of finding a company to display on your vehicle. It used to be a free service. Lots of complaints of slow matchups with companies. Your car will now have a decal on it somewhere, either on your rear window or a body wrap. A “Drive, Get Paid #YOURWELCOME” slogan is arrogant and leaves a bad taste in my mouth, just hearing that. I want to run away from marketing like this! Very, very very very annoying page switching. When I want to remain on their WrapMatch homepage, it redirects me to Applicants Wanted Page. I dictate where I go on the internet, not WrapMatch. I hate pop-ups and this specific tactic, and btw you will never see this on HighlanderMoney.com EVER!!!!! Not a replacement for an income. You won’t get rich or replace an income doing this. They charge you for the decal. Wow! Really? Embarrassing to some people to drive around with an ad on their car. Lots of claims that their gift cards are never in stock. No Guarantee as a basic membership to ever be offered a campaign. Shady past, although they claim otherwise, internet uses report multiple problems with this company. SiteJabber rating of a dismal 10%. Possible removal of your vehicle paint job when trying to remove the decal. Not enough information is provided on their website about the owners, how WrapMatch works and just everything about their business. Vagueness. You must sign up to find out more. I would appreciate more transparency. Offensive Barack Obama video on YouTube. Let me give you a business lesson WrapMatch, and you don’t exclude or try to make fun of half of the population of the U.S. Your attempt at being funny falls short. If you are looking to supplement your income not replace it, this might be an option for you. Especially if you are driving a lot anyway, like an Uber driver. Some people may find this appealing as maybe you like the advertiser products. Not much training is shown, but you’re just driving around with an ad on your car. 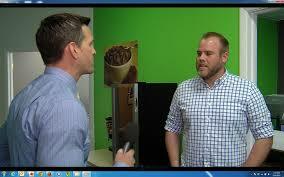 telephone number – 800-258-9062 then option 2, for WrapMatch customer service department. For the basic membership, you pay $4.99 a month. For the premium membership, you pay $19.99 a month. I find the idea of paying a company to allow you the ability to make money by advertising on your vehicle, ridiculous. It just comes at me wrong. Their wording pisses me off with arrogance. #yourwelcome Really, I get a sense these guys just want to make as much money as they can and try to fool people into paying them for a service. For 7 dollars more a month than what they want for a premium membership at WrapMatch, I can show you how to create a successful online business, that can make you money the rest of your life. On top of that, you have to pay more in order to receive a guarantee you’ll get a campaign. Ohhhh Boy. Then they have the nerve to charge you for the shipping of the decal. Woah, partner! Do you really want to put a decal on your car anyways? I know I don’t. I never like bumper stickers or even the stick figures you see now advertising how many people are in your family. I have better ways to spend my $20.00 a month. VERDICT: LEGIT but I don’t recommend it. So many bad reviews, it’s hard to ignore. ‹ Is Wealthy Affiliate For Beginners?